The pivotal third round of the European Champions Cup takes place this weekend with former winners, pretenders and potential outsiders all poised to take a step towards the final in Newcastle next May. On Sunday, two-time runners up Racing 92 welcome double champions Leicester Tigers. The wealthy French club, currently fifth in the Top 14, are unbeaten having seen off Ulster and the Scarlets in October. Racing's Ireland three-quarter Simon Zebo says victory for his side would give them an advantage ahead of the return fixture on December 16. "If we hopefully win this game, being three out of three is a very good position, going on to a fixture where Leicester will be struggling," he told AFP. Despite their history and pedigree the Tigers have struggled in recent weeks. They are currently eighth in the Premiership and their October victory over the Scarlets in the Champions Cup marks their sole win in five outings. Zebo who has scored seven tries in 11 games this campaign for the Parisians is expecting a reaction from the team with the third best attack in the competition this year. An eighth touchdown this weekend for the 28-year old would bring his tally in Europe to 25. "We've got good momentum in Europe but Leicester are dangerous, if they click. They haven't been great so far in the (English) league. They're a bit of a wounded animal at the moment," he added. Zebo's former side Munster are also top of their pool and face French champions Castres at Thomond Park - the two teams have met more often in the competition than anybody else. Coach John van Graan is set to welcome back Ireland internationals CJ Stander and Joey Carberry who were rested for last weekend's 44-14 thumping of Edinburgh which stretched the province's unbeaten run to six matches. The visitors have had a mixed start to the French and continental season. 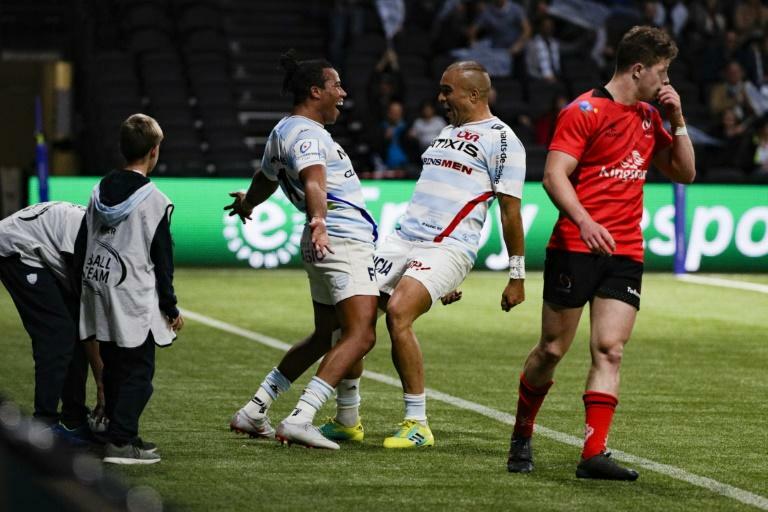 They have yet to record three consecutive wins and are coming off an embarrassing loss to strugglers Agen in the Top 14. Saturday sees a repeat of the 2004 final as four-time winners Toulouse travel to twice champions Wasps. After years of disappointment at home and abroad since their last trophy in 2012, the French giants seemed ready to match past achievements. They are yet to lose in the Champions Cup, are second in the Top 14 and can count on experienced internationals such as former All Black Jerome Kaino who is set to return from suspension, France's powerful winger Yoann Huget and quick-footed Springbok Cheslin Kolbe. Wasps are looking for their first victory in the tournament after being humiliated by champions Leinster in the opening round and drawing 35-35 in a thrilling encounter with Bath a week later. With one of England's weakest defensive records, Dai Young's men will be tested by their French visitors who have crossed on 41 occasions this season. The teams meet again in the return fixtures in Round 4.